Quality tractor clutches at low prices! Browse through the clutches listed below to find one that will fit your make and model. 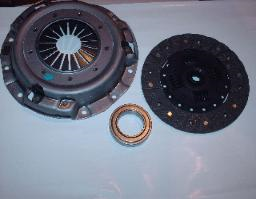 In addition to the clutches listed here, I can acquire almost any clutch, so feel free to make a phone call or send an e-mail to tractorclutchesrus@yahoo.com. Remember, these products are also listed on my ebay store if you wish to purchase them online. Copyright 2011 TractorClutchesRUs. All rights reserved.